While a second-half revival put a thin gloss on the first-half performance, the 4-2 defeat to Liverpool leaves a lot to be concerned about. Here are five things Naveed Khan learned. From the early games against West Brom and Bournemouth to the last two home games, Alan Pardew has bemoaned his team’s slow start to a game with those matches yielding a solitary point. With five home games gone, these slow starts have already proven costly and with a run of home matches to come against Manchester City, Southampton, Manchester United and Chelsea, the team cannot afford to keep inviting pressure before trying to grow into games. Liverpool took the early initiative with their pressing and passing triangles and did not surrender the psychological foothold they gained. Ultimately, the home form needs to improve from a 1:4 win record that Pardew has with Palace if the club wants to spend the season aspiring and not looking back. The desire to move to a more attacking team style is admirable, but Saturday was yet further evidence that this cannot manifest itself in a fully effective system until the defensive basics are on point. Palace’s back four displayed a lack of organisation, being pulled apart by simple movement and even exposed at set-pieces, hitherto perceived a strength. 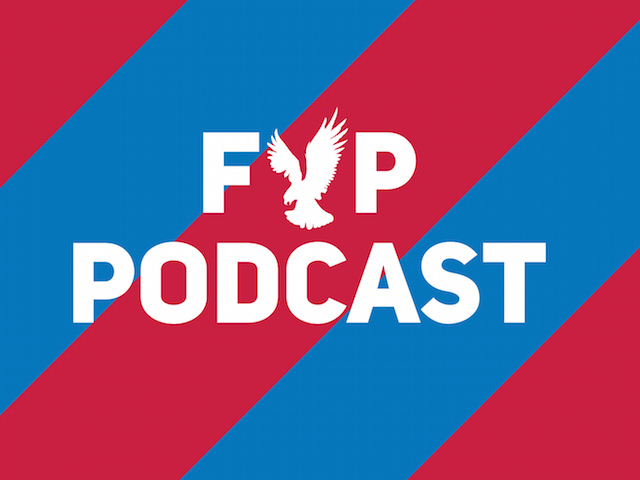 Contrary to this perception, set-pieces have become a weakness for Palace this season, with eight goals conceded – evidence that the importance of having a solid platform from which to play more expansive football has been underplayed. Andros Townsend was dropped, with justification, and came on with little impact against Liverpool with Pardew saying afterwards it was because he wants to play on the right wing. By spending £13 million on a full England international who, although left footed has never made a secret of his preference of playing on the right, Pardew has given himself a problem he needs to solve. 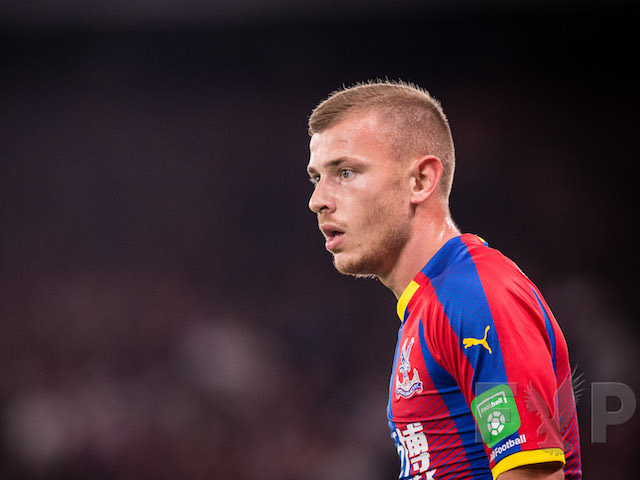 Palace’s success has always emanated from creative wingers; if Pardew is to build the legacy he so craves, he needs to find a way of Townsend fitting into a team in which Zaha is so critical on the right hand side. 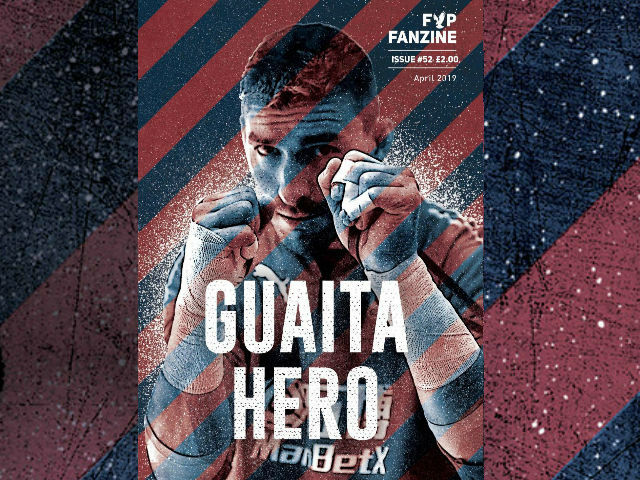 James McArthur has arguably been Palace’s player of the season thus far and Yohan Cabaye is evidently getting back up to speed and the pair who were so critical to Palace’s excellent form at the start of last season will be just as important this season. While in possession, their impact is tangible, it is without the ball where weaknesses to the set up in the midfield are exposed. Against pressing sides who move the ball quickly, they need a mobile shield to work with them. Joe Ledley, for all his attributes, does not provide that mobility with his shortcomings obvious against Liverpool and it is not clear what role Pardew has in mind for Flamini. Pardew needs to set the team up to get the best out of the better players rather than a template set-up regardless of the opposition. Not for the first time, but maybe for the most apparent time, the bench Alan Pardew had to turn to try and change the course of the match provided him with no solutions. Sunderland aside, the manager’s changes have had little impact and that was again the case against Liverpool. Jason Puncheon (off the pace after injury), Townsend (out of form) and Fraizer Campbell (out of his depth) were the cards used and each struggled to influence proceedings. While the club rightly addressed key starting positions in the summer, quality back-ups have not been added in any window since promotion; Saturday showed January cannot be a bargain hunt. 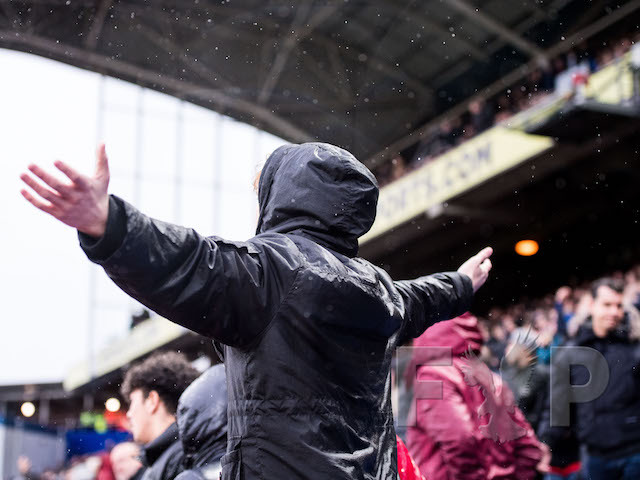 Palace entertained and frustrated in equal measure. But the frustrating aspects of the game hurt us most. Here are five things we learned. While admirable that Alan Pardew is looking to set the team up to dominate games and play on the front-foot, this has to be balanced by consideration to how the other team sets up or changes shape during a match. Against both West Ham and Leicester, Pardew has been slow to react to obvious changes in the opposition and in both games, it has cost us points. At Leicester, when Riyad Mahrez was finding it difficult to get space, Claudio Ranieri responded by moving him from wide to playing more centrally. Pardew did not react to this change and it took away the sense of control Palace had for 20 minutes, giving the initiative to Leicester which they subsequently capitalised on. 2. Mandanda style the way forward. 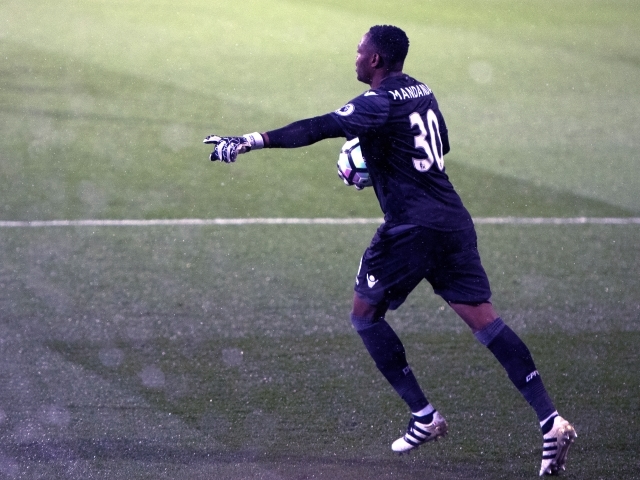 It may put some players not entirely comfortable with the ball at feet under pressure at times, but Steve Mandada has been brought in to the club for more than his obvious standard goalkeeping talents. While he did cause a heart-in-mouth moment against Leicester, he will be leading from the front from the back, as it were, in the team’s evolution into a side which can move the ball quicker. His late save from Mahrez has gone under the radar but showed his shot-stopping abilities. While Palace fans have been happy to have goalkeepers who make good saves and can clear the ball 60 yards, it’s time to appreciate a new kind of goalkeeping. 3. A positive transfer window; but clear shortcomings. For the incomings at Palace, the transfer window has been heralded, with justification, as our best since promotion. However, the lack of depth in the squad has been apparent since the start of the season and has been further highlighted in the last two games where two defensive injuries have exposed the team at centre-back and left-back. Leicester targeted the weakness on the left side of our defence between Delaney and Kelly with the movement of their front line and West Ham had targeted it through overload in that area at times. It is a stark vulnerability which the club must counter until it can add personnel in January. Christian Benteke’s quality is apparent; he has an excellent first touch, brings others into play and his heading ability is second to none. However, to maximise the effectiveness of a player with that talent and price-tag, Palace cannot afford to leave him isolated. This could be a key point to address in Pardew’s “transition” – to move to passing game-control tactic requires midfielders to pick the ball up deeper, the loss of a number 10 close to Benteke needs to be compensated by either a winger coming inside or a spare midfielder pushing up. Benteke’s full impact will be limited until this is solved. By his own admission, it is only now Yohan Cabaye is up to the required level of fitness for the Premier League. 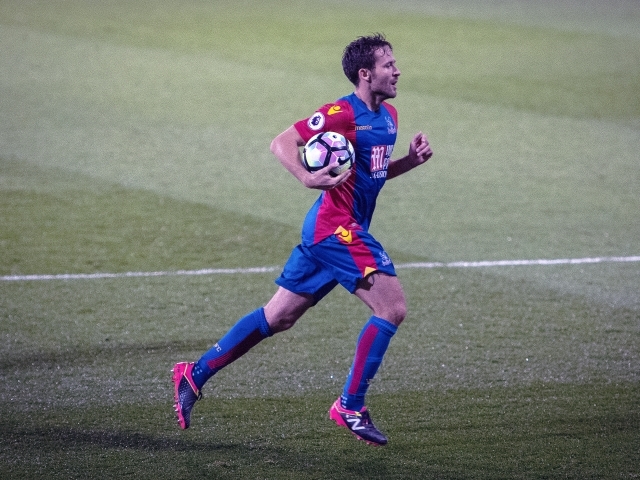 Saturday was the first time he’s started in a team which looked to control possession and while at times, even during the winning run, Palace’s ball retention was riddled with indecision, Cabaye’s quick switching, ball rotation and availability to receive the ball all over the pitch demonstrated how his importance to the team can grow as the season progresses. For all of Joe Ledley’s attributes and James McArthur’s endeavour, neither possess the ability to start attacking moves from deep; Cabaye will add decisiveness to mix. A disappointing London derby defeat to West Ham put an end to Palace's unbeaten run. Here's Alfie Davis's look back. Fielding a team in reasonably good form, Alan Pardew’s side hosted West Ham, who themselves had only gained three points once prior to Saturday night’s game. Off the back of a midweek hat trick and fastest goal in European Qualifier history, Christian Benteke led the line for the Eagles. Disappointingly however, Palace looked more like the familiar team of recent years, who’ve failed to deliver against faltering teams on winless runs. Frustratingly downbeat results such as this leave bitter tastes amongst fans, and rightly so, as the absence of clean sheets and leakiness at the back have proven costly on numerous occasions. The opening minutes looked fairly even, and both sides were relatively lively as an attacking tone was evident. In the eighth minute, Wilfried Zaha was presented with an opening after Jason Puncheon recycled the ball, only for him to miscue the shot as he put the ball wide. Just before the twentieth minute, West Ham drew first blood and opened proceedings. Aaron Creswell’s pass was met by Manuel Lanzini, who notched it into the back of net. Palace, from then on, found it difficult to establish any foothold for predominantly the majority of the tie. In the 44th minute, Benteke was taken down inside the penalty area and was presented with the opportunity for Palace to go into the break a one a piece. However, Benteke seemed to lose his cool in front of the Hammer’s keeper Adrián, as his resulting shot flew away from goal, squandering the biggest opportunity for us to get back into the tie. Oddly, Yohan Cabaye hasn’t been chosen for the starting line up as of late, and put his mark on the game as the second half started. 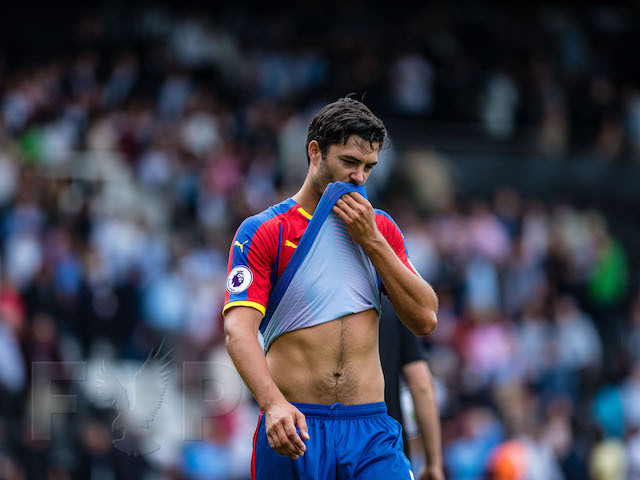 Another absentee was Scott Dann, who couldn’t make the starting line up having just returned from injury – the lack of leadership and assurance within the side was evident, and we often looked vulnerable in various positions. With Loïc Rémy scheduled to back around the fifth of November, our options in all positions become stronger, as currently we’re looking one dimensional and thus predictable to the opposition. 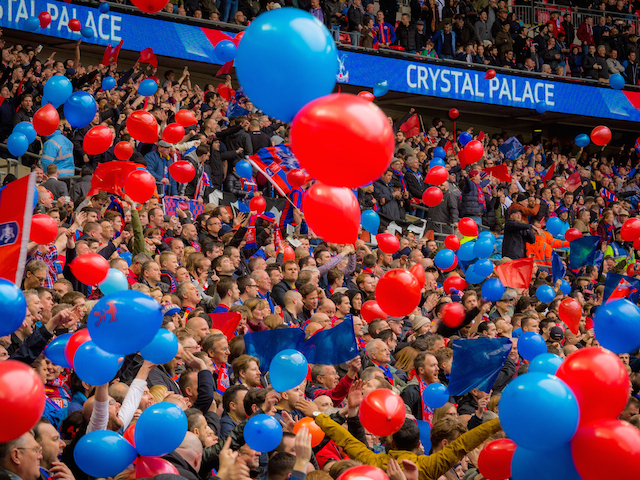 Altogether the result wasn’t what some pundits had predicted, and put a dampener on hopes that Palace have the credentials to fight for position to enter into the Europa League. Given that everyone is fledged fully fit, winning games will be more likely, particularly in these sort of ties where we get results. Lacking in clinical ruthlessness proved costly at times, and hopefully the result was a minor blip that won’t bare any psychological unrest on the team. Saturday’s trip to Leicester is a difficult match, and their squad will have to pick themselves up and try to gather as many points as possible, despite a Champions League fixture in mid-week possibly hindering their sharpness on the day. You know what you get with Damien Delaney lining up in the back four. Determination, steel, focus and an indefatigable attitude. But what you also get, and what has become more stark with the squad changing progressively, is that composure when in possession and an ability to see a pass is severely lacking. That lack of vision became so stark that, during the second half with Palace pressing for an equaliser, Jason Puncheon repeatedly dropped deep to take possession in an area that Delaney would have been expected to. Delaney isn't a bad defender. 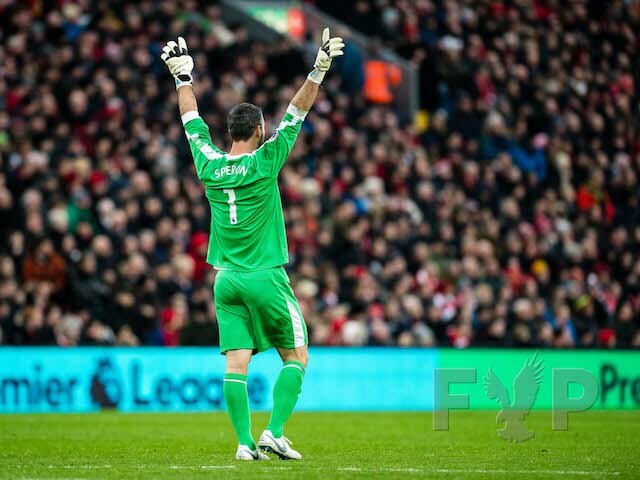 The goal conceded wasn't his fault and he did his defensive duties as well as could be expected. But when Alan Pardew speaks of wanting to change the squad's style of play, it's players like Delaney that need to make the step up. 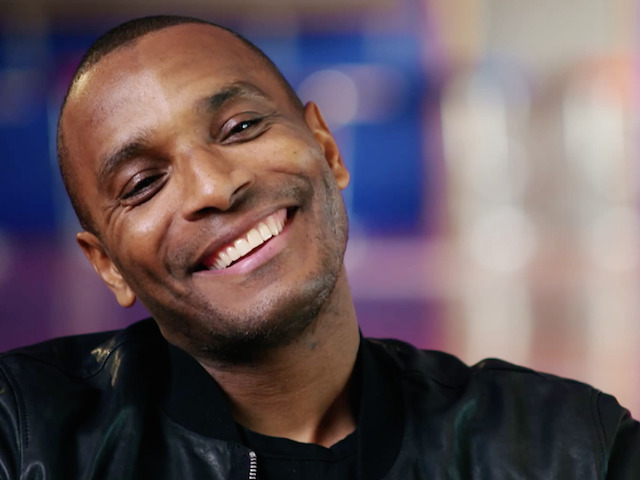 There's only so much that Puncheon can do when it comes to finding passes and creating opportunities. From memory, he produced two excellent opportunities in both halves, the most obvious being the pass in to Wilfried Zaha that the winger pulled wide of the far post, and the cross for Connor Wickham's header that West Ham goalkeeper Adrian saved well late in the game. Puncheon showed composure during the latter stages of the game that other players couldn't. Rather than hit and hope, he directed play and Palace very nearly capitalised from it. In the run-up to the West Ham game, following the win over Sunderland and the draw with Everton, a talking point seemed to be that there was a likeness between England's Wayne Rooney problem and Palace's need to fit Yohan Cabaye into the side. The comparison was deeply flawed however. Firstly, Palace don't have the luxury that England or Manchester United have when it comes to selecting players. Cabaye is an international quality midfielder and Palace don't have many of those. Secondly, as the performance on Saturday showed, when Cabaye was introduced into the side at half time, the midfield difficulty that Palace had suffered from in the first half dissipated. A formation change helped but Cabaye's ability on the ball, his retention of it and his inclination to find players in space made a telling difference. Let's give that Rooney/Cabaye comparison thing a rest now. 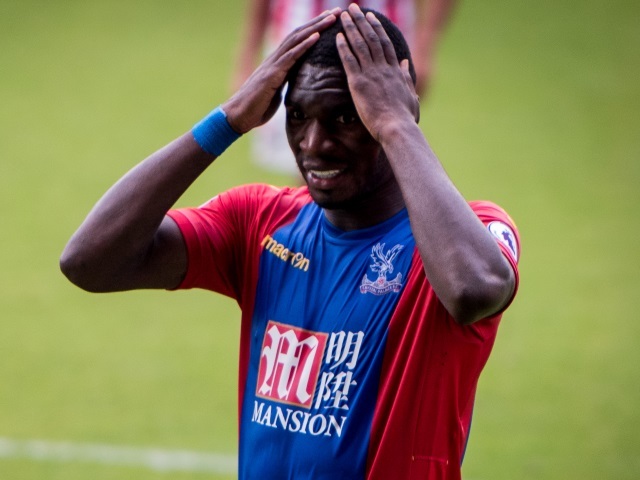 Benteke isn't a one-trick pony -- so why do players treat him like one? Christian Benteke is great in the air. His ability to head the ball is arguably the best in the division. It's understandable that Palace would try to exploit that -- and the side nearly did when the Belgian international hit the post just seconds after missing his penalty. That doesn't mean that every single pass into him should be at head height however. Nor does it mean that every cross should be, or that every through-ball should be. Benteke is capable of so much more and, for the first half at least, the tactic of hoisting the ball up to him clearly didn't work. While things improved in the second half, with Benteke pointing where he wanted the ball -- to his feet -- Palace still intermitently pumped the ball up to him at head height. And West Ham, with their three centre-backs, dealt with it with ease. Whether it's tactical or not, there's much more to see from Benteke than just headed goals. The service must improve to get the best out of him. With or without a penalty miss. West Ham did a great job on Palace in the first half. By lining up with three at the back, and essentially five in midfield (with Dimitri Payet dropping into the midfield frequently) Slaven Bilic's side flooded the centre of the park, reducing Palace's effectiveness entirely. It was obvious after just 15 minutes, and continued to be for another 30. It shouldn't have required a wait until half-time to make changes. There's enough flexibility in the side to address the most obvious of issues -- that of Palace's midfield three playing with one defensive midfielder or two. Had Alan Pardew pushed Puncheon and James McArthur into more advanced roles in the first half, it might have seen West Ham's defensive three a little more occupied. The second half showed what that tactical change did make. But it's frustrating that it took so long to address it.